Can aluminum siding be painted? Absolutely. You just have to prepare the surfaces by cleaning them and then apply the appropriate primer and surface coats. To clean aluminum siding, scrub it with a mixture of water and a non- phosphate detergent using a sponge and a heavy-duty scrub brush. Rinse it thoroughly and allow it to dry completely, two or three days. Using medium-grade sandpaper on a sanding block, sand any chipped or peeling paint until the surface is smooth. Remove any chalking or dust with a clean rag. 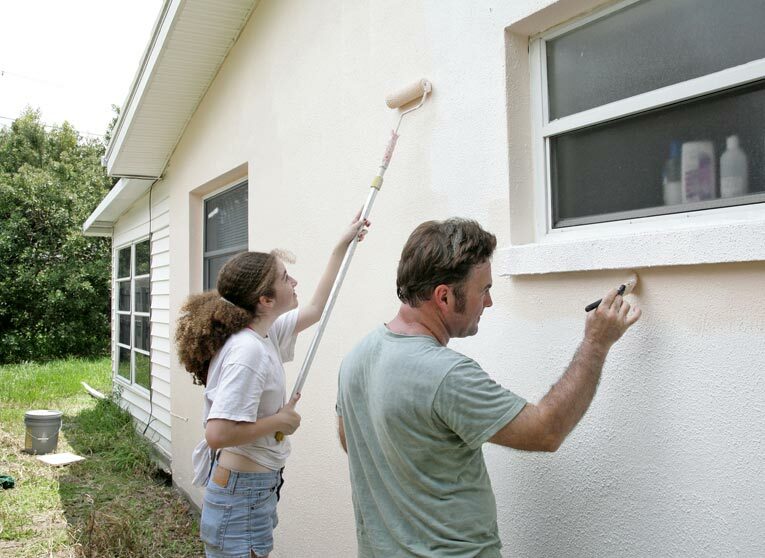 Plan to prime and paint the siding on cool, dry, overcast days, avoiding heat and direct sun. If the aluminum is in good shape, you can uses a latex metal primer. But if the surface is oxidized, do not use a latex primer because a typical ingredient of latex is ammonia, which can have a negative reaction with the oxidation. Instead, use an alkyd-based primer that has been thinned one part paint thinner to four parts primer. Your finish coat will cover best if you tint the primer toward the finish color with about half the normal amount of tint. 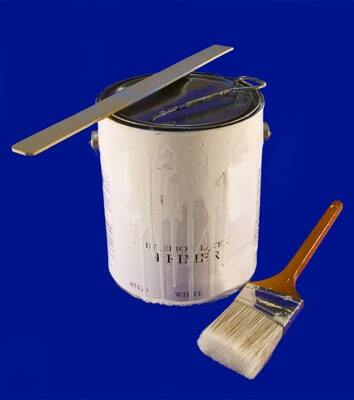 For the finish, apply one or two coats of a high-quality, 100% acrylic latex paint made for metal siding. Satin or eggshell finishes look good and offer longevity. A paintbrush is best for application.